This Organization shall be known as the DUTCH SHEPHERD DOG CLUB OF AMERICA (DSDCA), a nonprofit, non-discriminatory provisional licensed UKC dog events club. 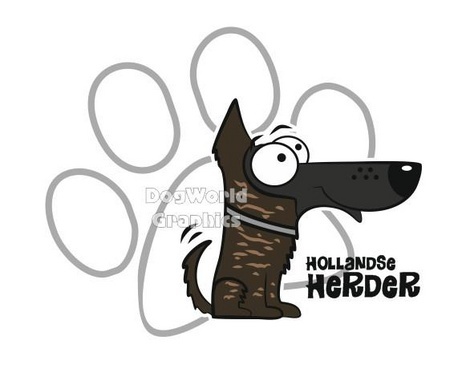 Its membership shall be made up of Dutch Shepherd enthusiasts in the United States of America and around the world, or any person duly elected to membership. The principal office of the Dutch Shepherd Dog Club of America in the State of Michigan shall be located at 4305 South Lowell Road, Saint Johns, Michigan 48879 according to the Articles of Organization filed with the Michigan Department of Licensing and Regulatory Affairs. The club may have such other offices, either within or outside the State of Michigan, as the Board of Directors may designate or as the business of the Club may require from time to time. The Board of Directors may hereafter designate an additional business office address from time to time which shall be located in the area where the President shall reside and also an alternate place of business office address if needed for the purpose of banking incidental to the business of the DSDCA which shall typically be located in the area where the Treasurer resides. To promote and encourage the breeding, training and showing of UKC registered Dutch Shepherds by communicating with DSDCA members through club member newsletters, health and breed seminars, internet websites, social media pages, etc. To strive and maintain the Dutch Shepherd breed as a breed separate and distinct from others of similar origin due to the breed’s unique physical conformation, body type, working qualities and other unique characteristics. To promote general health and genetic awareness within the breed by supporting health-related studies related to the Dutch Shepherd. Gather and disseminate information and data from relevant scientific research in canine genetics and psychology pertinent maintenance, development, training, breeding and enhancement of the Dutch Shepherd breed. To promote the physical health of the breed through recommended breeding criteria which take into consideration evaluations for canine Hip and Elbow dysplasia certified by the Orthopedic Foundation for Animals (commonly known as “OFA”) and genetic testing for Dutch Shepherd IM: Inflammatory Myopathy (Myositis), the results of which are also listed on the OFA website. The club will not hold any other registry’s events on the same day/location as that of any UKC event without the prior approval of UKC. To dismiss from our membership without hesitation those who violate these by-laws and the principles of good sportsmanship including fair and honest conduct. We reserve the right to refuse any entry in our competitions, as well as membership in this Club to any individual, at the discretion of the Board of Directors, and members. However, no person will be refused entry or membership on a basis of race, color, creed, religion, gender, age or national origin. The Dutch Shepherd Dog Club of America shall not be conducted or operated for profit and no part of any profits or remainder or residue from dues, fees, sales or donations to the DSDCA shall benefit any club member or other individual. We offer three types of membership (currently at NO COST, but the board may vote sometime in the future to require a membership fee amounting to no more than $25 per year). Membership applications are presented on line at the www.DSDCA.org website. Once application for CLUB MEMBERSHIP is received and reviewed by the Secretary, applicant will be notified if their membership has been accepted. Associate and Supporting Member applicants will not receive personal notification. Membership Revocation/Denial: The Board of Directors may deny or revoke any membership for cause when deemed necessary. Any member known to: promote, support, raise dogs for fighting; knowingly sell, give, or trade dogs that will be used for fighting; condone or be associated with the facing off, game testing, rolling or pitting of dogs will have their membership automatically revoked. The member shall also be reported to United Kennel Club for disciplinary action as well. Voting by the Board of Directors shall be by simple majority of those present, physically or on a telephone conference, except where a greater majority is required by the other provisions of these bylaws. A quorum of the Board of Directors shall be met by the presence of the President, or in the President's absence, the Vice President, and no less than two (2) other Board of Director members. Voting by the Board via electronic poll shall be allowed. Each Individual Club Member in good standing shall be entitled to one (1) vote on each matter submitted to a vote of the members. Voting by electronic poll and conference call shall be allowed. The attendance of as many meetings as possible. The attendance of and participation in all Club activities and shows/events to the satisfaction of the Officers/Board. However, the attendance clauses shall be waived due to illness, disability, conflict with employment, excessive distance, or bona-fide previous commitments. The Board of Directors of this Club shall be composed of three (3) Officers and two (2) Directors, all of whom shall be members in good standing and elected at large by the membership. This article shall be used to govern the Officers/Board of Directors of the Club. Keep a roll of the club members with their addresses, phone numbers, e-mail and UKC registration numbers and names of all Dutch Shepherds owned. 4. TREASURER: When and if the Board decides to require membership fees, a Treasurer will be appointed to keep accurate accounting records and be responsible for the proper collection and distribution of all funds and accounts, under the direction of the Board. Shall preside in the absence of the other elected officers. The checks on the account(s) of this Club will be signed by the President or Treasurer. The books and accounts of the Treasurer shall be audited annually, prior to the election of officers, by a committee appointed by the President. The Officers and Board shall serve as the nomination committee for all offices, board vacancies and award recipients; however, any member in good standing shall have the right to make nominations. The Officers/Board of Directors shall be elected every year. Any Officer may succeed him or herself. All elections shall be by secret ballot and decided by a simple majority. If a nominee runs unopposed, the person nominated will be declared elected by the Secretary at the annual meeting. If multiple nominations have been made, the Secretary will announce the election results at the annual meeting (with the candidate receiving the greatest number of votes for each office or position on the board being declared elected). The Nominating Committee shall nominate from among the eligible club members, one candidate for each office and for each other position on the Board of Directors, and shall procure acceptance of each nominee. The Committee should consider geographical representation of the membership when selecting nominees to the extent that it is practicable to do so. No person shall be nominated for more than one position. The Committee shall submit its slate of candidates to the Secretary not later than October 10th. The Secretary shall present the nominations to the club membership by electronic mail no later than October 15th, including the full name of each candidate and the state in which the candidate resides, so that members may make additional nominations, if they so desire. Additional nominations of eligible members may be made by written petition signed by ten percent of the club members in good standing eligible to vote, addressed to the Secretary and received at the Secretary’s regular address on or before November 15th, accompanied by a written acceptance of the nomination from each additional nominee. No person shall be nominated for more than one position. If no valid additional nominations are received by the Secretary on or before November 15th, the Nominating Committee’s slate of candidates shall be declared elected at the time of the annual meeting and no balloting will be required. If one or more valid nominations are received by the Secretary on or before November 15th, the Secretary shall prepare a ballot in the form of a Slate of Nominees for Office. This Slate will be sent to each individual club member via electronic mail by November 20th on a voting form approved by the Board and no other form shall be accepted and no write in votes will be counted. All Nominees will be listed in alphabetical order, by last name, for each Office. This form must include a brief background of each nominee for each Office. Only one form will be sent to each member in good standing. The list of members in good standing will be taken from the current list of members in the Secretary's records. The voting forms must be returned to the Secretary by electronic mail no later than December 5th. Any votes coming in after this date will not be counted. The results will be reported to the present Board and the Board will notify all the nominees of the results and the actual vote count will be included in this report. The elected candidates will be announced at the time of the annual meeting. The new Board will take Office on January 1st. The term is for a 1 year period. All ballots will remain under the custody of the Board for one year after the election and then may be destroyed. In the case of a tie, a runoff election will be conducted for the two members receiving the greatest number of votes for that office. The runoff election will be conducted in the same electronic manner except that the run-off Ballots must be sent out as soon as possible and the results must be returned before December 15th and certified within five (5) days. No person may be a candidate for office who has not been nominated in accordance with these By-laws. Nomination for elected Office shall be accepted from any member in good standing and any member in good standing may be nominated. Regular meetings of the Board may be held, from time to time, as required but no less than once each three months with one meeting to be held thirty (30) days prior to the annual general membership meeting. Any Board meeting may be held by telephone conference call, by email or computer Chat Mode. A regular meeting of the Board may be held at any time when called by two (2) or more Board members, provided that at least five (5) days prior notice is given or notice is waived by all the Board members. Special meetings of the Board may be called by the President at any time provided that five (5) days prior notice is given or notice is waived by all the Board members. The annual meeting will be conducted in the month of December at a Board agreed upon date and time by telephone conference call. The Secretary will inform all eligible club members of the meeting via email, which will include an agenda along with instructions for date, time, telephone number and authorization code to join the call. Voting by the Board shall be by simple majority of those present, physically or on a telephone conference call, and eligible to vote, except where a greater majority is required by the other provisions of these bylaws. A quorum of the Board shall be met by the presence of the President, or in the President's absence, the Vice President, and no less than two (2) other Board members. Voting by the Board via electronic poll shall be allowed. The Board may, by special ballot, propose any issue which, in its discretion, it believes appropriate for a polling of the members or where otherwise required by these By-laws. In such event, the Board shall direct the Secretary to prepare and present ballots to the eligible club members in the manner otherwise described in these By-laws at least five (5) days prior to the date of the Board resolution requiring such vote. Voting will be conducted either by return ballot via email or by voice in a telephone conference call meeting, whichever the board decides upon. Suspension: Any member who is suspended from the privileges of the United Kennel Club or any other recognized registration body or kennel club will be automatically suspended from the privileges of this Club for a specified time period or indefinitely, at the Board of Director’s discretion. Process of bringing Charges: Any person may bring charges against a member for alleged misconduct prejudicial to the best interests of the club or the breed. Written charges with specifications and all evidence to be presented must be filed in duplicate with the Secretary together with a deposit of $75 US dollars, which shall be forfeited if such charges are not sustained by the Board following a hearing, which may be conducted electronically. New evidence will only be permitted at such hearing, if one is conducted. The Secretary shall promptly send a copy of the charges to each member of the Board and present them at the next Board meeting. The Board shall first consider whether the actions alleged in the charges, if proven, might constitute conduct prejudicial to the best interests of the club or the breed. If the Board considers that the charges do not allege prejudicial conduct, the Board may refuse to entertain jurisdiction. If the Board entertains jurisdiction of the charges, it shall fix a date for a hearing by the Board not less than one weeks nor more than two weeks thereafter. The Secretary shall promptly send one copy of the charges to the accused member by registered mail together with a notice of the hearing and an assurance that the respondent may personally appear in his/her own defense and bring witnesses if he/she wishes. Process of Board Hearing: The Board shall have complete authority to decide whether counsel may attend the hearing, but both complainant and respondent shall be treated uniformly in that regard. Should the charges be sustained after hearing all the evidence and testimony presented by complainant and respondent, the Board may by a majority vote of those present suspend the respondent from all privileges of the club for not more than one year from the date of the hearing. If the Board deems the punishment insufficient, it may also recommend to the membership that the penalty be expulsion. In such case, the suspension shall not restrict the respondent’s right to appear before his fellow members at the ensuing club meeting which considers the Board’s recommendation. Immediately after the Board has reached a decision, its finding shall be put in written form and filed with the Secretary. The Secretary, in turn, shall notify each of the parties of the Board’s decision and penalty, if any. Process of Expulsion: Expulsion of a member from the club may be accomplished following a Board hearing and upon the Board’s recommendation as provided in Section 3 of this Article. The respondent shall have the privilege of appearing in his or her own behalf though no evidence shall be taken at this meeting. The President shall read the charges, and the findings and recommendations, and shall invite the respondent, if present, to speak on his/her own behalf. The Board members shall then vote by secret ballot on the proposed expulsion. A 2/3 vote of those present and voting at the meeting shall be necessary for expulsion. If expulsion is not so voted, the suspension shall stand. The club may be dissolved at any time by the written consent of not less than 2/3 of the members in good standing. In the event of the dissolution of the club, whether voluntary or involuntary or by operation of law, other than for purposes of reorganization, none of the property of the club nor any proceeds thereof nor any assets of the club shall be distributed to any members of the club, but after payment of the debts of the club, its property and assets shall be given to a charitable organization for the benefit of dogs. These by-laws may be amended as deemed necessary by the Officers/Board and must be approved by a majority vote of the Board members in good standing. Notice of a proposed change must be in writing, and the membership properly notified. UKC must be notified in writing and all changes to these by-laws must be approved by UKC before being implemented. Members must conduct themselves in an honest and sportsman like manner at all Club functions, meetings and events. Absolutely no alcoholic beverages, firearms, or illegal drugs will be allowed on the grounds or in the buildings while participating in any licensed UKC events. All United Kennel Club policies will be strictly adhered to during all UKC events. Every applicant must agree to abide by these by-laws before being accepted into membership. We hereby certify that the foregoing Constitution and Bylaws, consisting of 6 pages, constitute the Bylaws of the Dutch Shepherd Dog Club of America, duly adopted by its Board of Directors by vote.